Is your project or mine in a structurally complex, high stress, potentially rock burst-prone setting? Two chances for you to take advantage of this opportunity! The course will be comprised of technical presentations and hands-on practical sessions focused on providing attendees with an awareness of: the risks posed in burst-prone mines; the structural geology and other geotechnical aspects to pay attention to and measure in drill core and in drift mapping; and the tools to use to optimize design and response effectiveness during project/mine design, development and operation. Consideration of how to practically integrate stress and structural geology as well as other geotechnical measurements when evaluating the implications for mine design and stope sequencing. The sessions will be supplemented with practical hands-on opportunities to learn about and use appropriate techniques and tools. In April 2012, a technical overview workshop was held as a pre-curser to this short course. Video recordings of that half-day session can be viewed online. Includes meals (continental breakfast, snacks, lunch) and course materials. 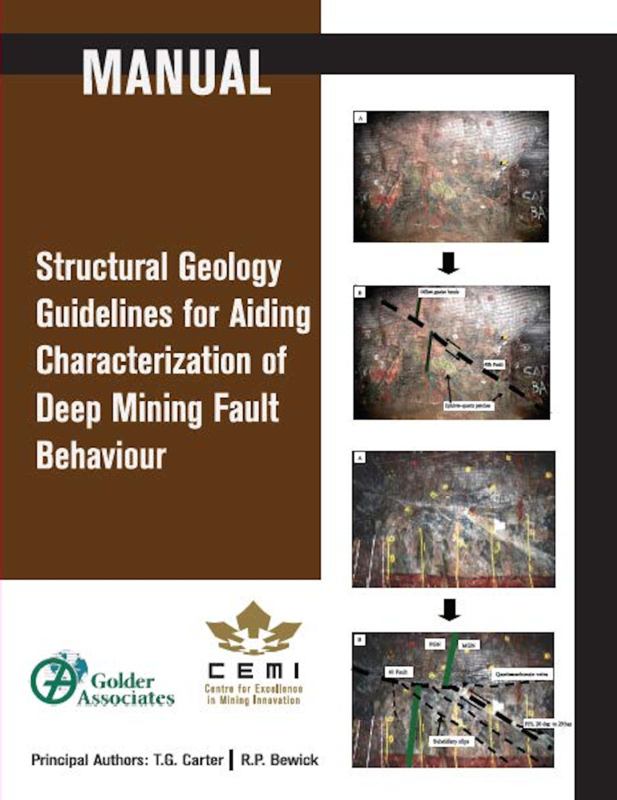 Registered participants will receive a hard copy of the Structural Geology Guidelines for Aiding Characterization of Deep Mining Fault Behaviour Manual. 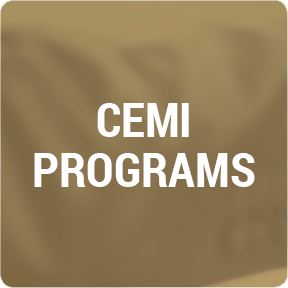 This comprehensive publication has been prepared in partnership with CEMI, Golder Associates, and Queen’s University. This manual is intended to provide guidelines for improving current levels of structural geologic data collection and evaluation in rockburst-prone areas in underground mines. Deadline to register is September 28, 2012. Seating is limited! Register and send your completed Sudbury Registration Form Toronto Registration Form to Krystle Vendette kvendette@miningexcellence.ca or Fax to 705.671.3878 ATTN: Krystle Vendette. Parking for the Sudbury course will be available in the Visitor’s lot (limited) of the Willet Green Miller Centre (free). Additional parking will be available in the Fraser parking lot across from the Willet Green Miller Centre (paid).